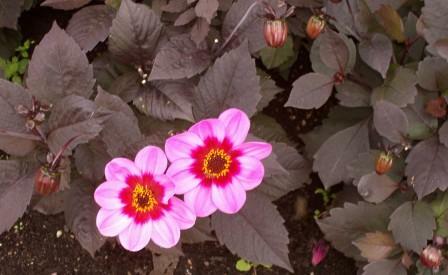 As gardeners mature they enter a purple patch in their life and potentially in the garden. 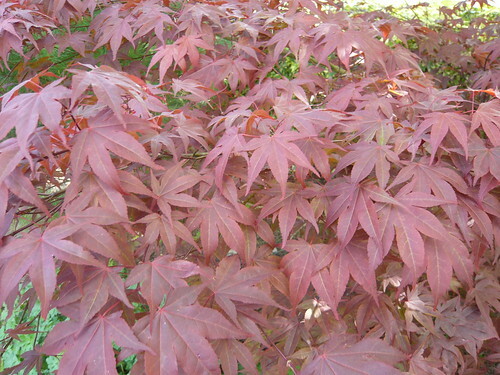 Some of the best plants with purple or coppery coloured leaves take several years to mature like the notional gardener. 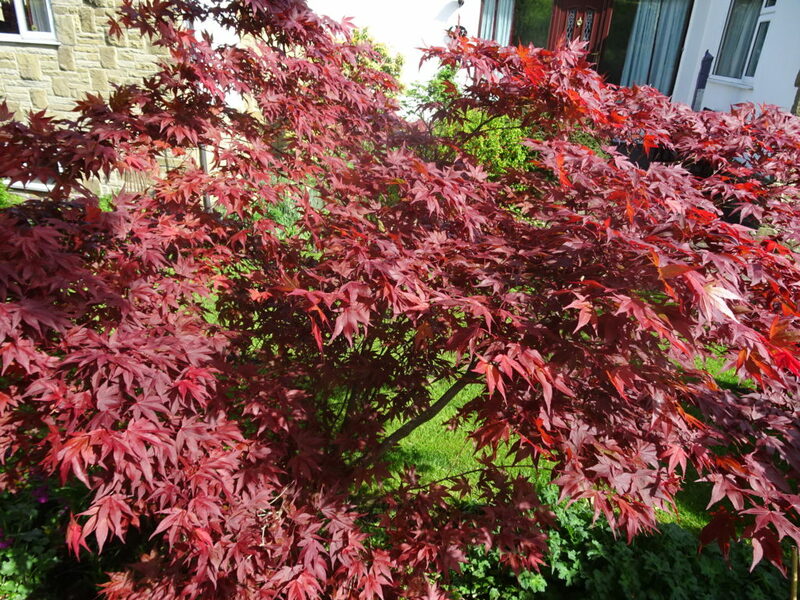 Amongst the favourites must be the copper beech and the many Acers with reddish leaves. Photographed against a blue sky the colour glows out in the morning sunshine. Unphotographed this purple patch gardener is probably very content for it to be so. I was struck by the two pictures of plants flowering virtually two seasons apart but similar in colour and floral form. 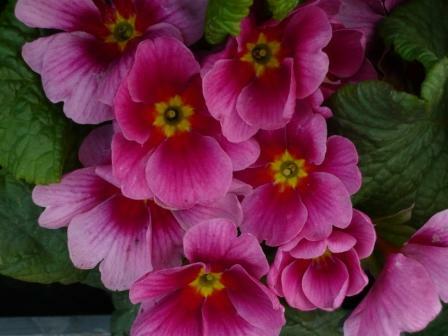 The spring Primula has a purple outer petal getting redder by the centre until it becomes yellow. The late summer flowering Redskin Dahlia has a similar pattern to the petals with the yellow stamen having a similar kaleidoscope effect. Start with a good framework of trees and shrubs with appropriate leaf colour. 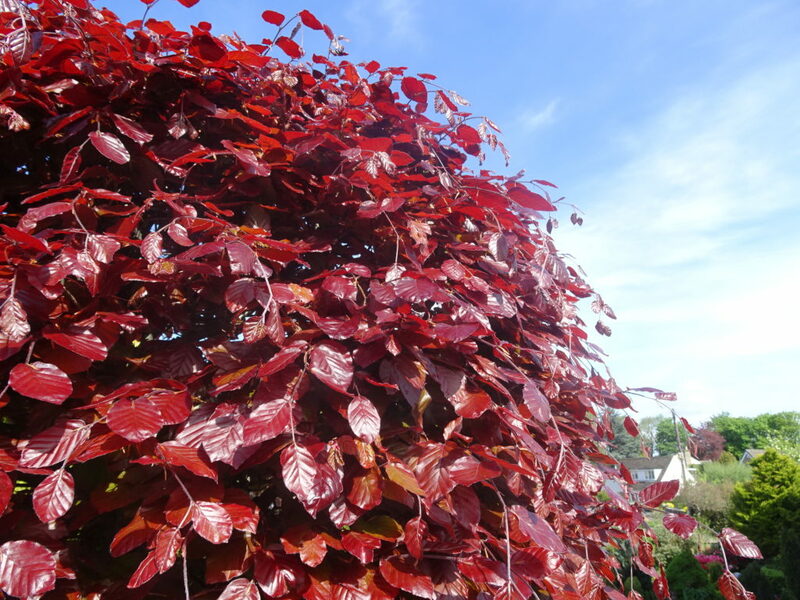 Acers, Copper Beech and Cotinus coggygria ‘Royal Purple’ are fair examples. You can have too much of a good thing and you need something to lighten up the colour scheme. I like grey leaved plants to add sharp contrast. You can also go for frothy flowers like Heuchera. Purple can be an unforgiving colour to match too. Yellow flowers seem to get lost but warm colours add to the attraction. These photographs emphasise the red end of the purple spectrum and are somewhat complementary. There are fewer blue-purple leaved plants but many flowers.